One of the easiest and most forgiving boards on the market. Includes original fins never installed. 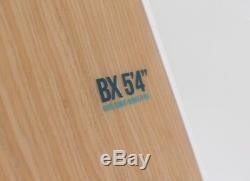 See video of BX in action here. The Takuma BX 5'4 Kite Hydrofoil board is a tough and versatile choice with its compact design and fin options it can be used as a travel surfboard, Kite hydrofoil board, Kitesurf board, wakesurf board, or wake foil board. Lots of options and great durable construction. Board is 5'4" in length with 2.5" thickness and 19 wide so medium displacement for its length. 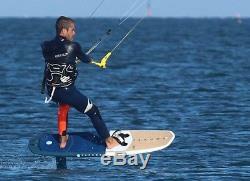 The top surface is flat so it is more stable while using the hydrofoil and less dynamic with no foil on it. 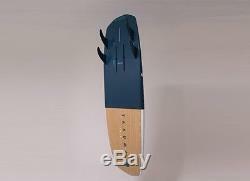 The board includes FCS slots for thruster or quad fin configuration to allow for easy use as a kitesurf or regular surf board in various conditions. Hydrofoil Tracks are standard 90mm spacing and long enough to provide ample adjust-ability forward and aft with all standard plate mounted hydrofoils. The track is labeled for more power/lift forward and less power/lift rearward so you don't forget when making changes. 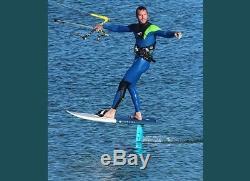 The item "New Takuma BX 5'4 surf kitesurf hydrofoil board" is in sale since Sunday, April 29, 2018. 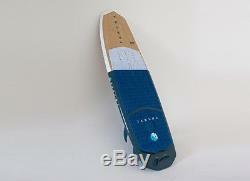 This item is in the category "Sporting Goods\Water Sports\Kitesurfing\Kiteboards". 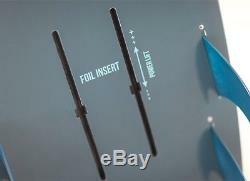 The seller is "tropicalsailing" and is located in Hallandale, Florida. This item can be shipped to United States.